Ever wondered what it would be like to work in a manga studio in Japan? 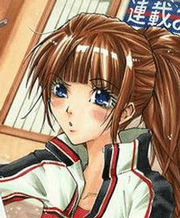 Jamie Lynn Lano got her chance in 2008 when she was hired by Takeshi Konomi to be part of his team for the Prince of Tennis sequal. Recently she’s published a book about her experience, and this week she talks about what brought her to Japan and how she got hired, cultural differences, drawing speed lines and tennis shoes, and much more. No user commented in " #439 Jamie Lynn Lano, Princess of Tennis "